To be more specific it can be said that almost one-third of children around the globe is overweight or suffering from obesity, and day by day the number is increasing. Though among children the health related issues due to obesity are quite fewer than those of adults but still it can cause some serious diseases. Children suffering from obesity are at high risk to become overweight grownups and develop some chronic diseases in future like diabetes and cardiac diseases. While another major issue more or less every overweight adolescent develop is stress, sadness, and low self-esteem. Though there are various reasons due to which children suffer from obesity. But the most common causes of obesity are genetic factors, unhealthy eating patterns, lack of physical activity, or a combination of these factors. And only in some rare cases obesity is caused by a medical condition like hormonal imbalance. A thorough physical examination and some blood tests can rule out the possibility of a medical condition as the cause of obesity. Although weight issues are genetically inherited, but it is not necessary that children with a family history of obesity will be obese. Children whose parents or siblings are overweight may be at a greater risk of becoming overweight, but sometimes this can be linked to shared family behaviors such as eating and physical activity habits. A child’s dietary habits and physical activity level plays an important role in determining a child’s weight. In Today’s world, many children spend most of the time being inactive. In a study, it has been seen the average child spends approximately four hours every day watching TV. With time as computers and video games are becoming even more popular, the number of hours of their inactivity can increase. When a child intake more calories than their body need, the body stores the extra calories in fat cells to utilize for energy later. But if their bodies do not need this stored energy, then they develop more fat cells and this may lead towards obesity. Well, obesity is not caused by a single factor or a single habit. There are many causes that I responsible for obesity including a person’s habits, lifestyle, and the environment. And in some cases, genes and some medical problems also increase a person’s chances of becoming overweight. Newborn and young children are pretty good at following to their bodies’ signals of hunger and fullness. Usually, children stop eating as soon as their bodies prompt them they have had enough. But it has been seen in some cases parent tells their children that they have to finish everything on their plate. This forceful eating makes them ignore their fullness and eats everything that is served to them. 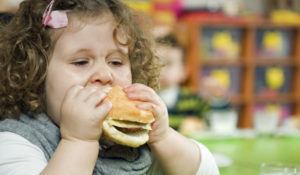 The way we eat during our childhood may strongly affect our eating habits as adults. They affect on everything like what we eat when we eat, and how much we eat. These learned habits lead towards eating no matter if we are hungry or full. Many people have a very hard time breaking these bad habits. In today’s super busy lifestyles parents don’t have the time to plan and prepare healthy meals for their child. 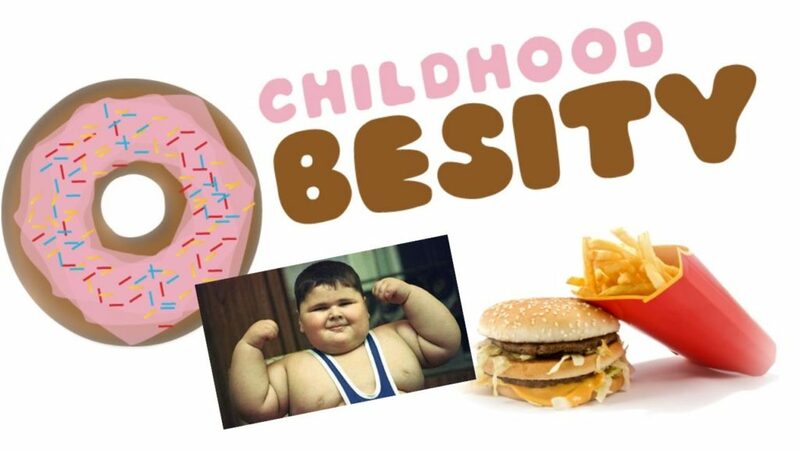 As a result of this children are eating more processed and fast foods that are less healthy than home-cooked meals. 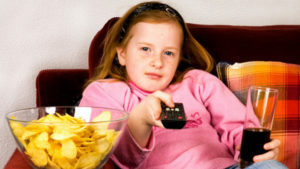 While watching TV children see up to 10,000 food commercials every year. Most of these are for chocolates, fast food, candy, soft drinks, and sugared cereals. Most of the foods available in the market are processed and contain high fat and too much sugar. The vending machines and convenience stores make it easy to get a quick snack, but they rarely sell healthy foods with low-fat content. Overeating is a habit that is reinforced by restaurants that advertise high-calorie foods and commercials that advertise junk food. 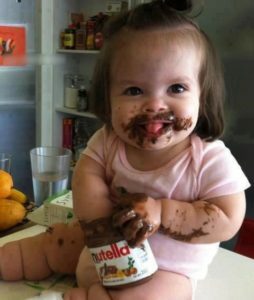 As children adopt their habits following their parents so if a parent is obese and has poor dietary and exercise habits, then, unfortunately, the child is likely to adopt the same habits. Screen time, such as while watching TV, gaming, texting, and playing video games are those activities that require very little energy. Talking about today’s scenario children take up a lot of time and replace physical activity. And, when children watch TV, they often crave for the unhealthy high-calorie snacks or junk foods they see in commercials. In eradicating obesity from children the schools also play an important role in teaching students about healthy food choices and exercises. Many schools have now limited packaged foods in lunches and vending machines. The schools are encouraging students to exercise more and involve themselves in physical activities like outdoor games, dancing, and swimming classes also. It is very important to live in a safe community that encourages outdoor activities at parks, or at least indoor activities at community centers, along with that it is pretty much important to encourage children for physical activities like cycling, playing out with friends and if interested then gardening could also help. But if a parent feels it is not safe for their child to play outside, then the child is more likely to do sedentary activities at home. The term “eating disorders” elucidate it all, well it refers to a group of medical issues that have an unhealthy focus on eating, dieting, purging, losing or gaining weight, and body image. Well, obesity and eating disorders often occur at the same time in teens who may be unhappy with their body image. Unlike other reasons some children gain weight due to certain genetic factors also. Children inherit genes from their parents and that make their body gain weight easily and finally result in obesity. This trait of inheritance could be a risk standing at today’s situation, this trait work against people who have these genes. But genetic factor is not only the reason of obesity in children. Children who are obese must also intake more calories than their body require for growth and energy. 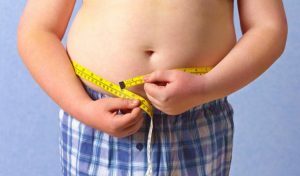 Overweight or Obesity in children may be linked to rare genetic conditions, like the Prader-Willi syndrome. Some medical conditions can increase a child’s appetite. These conditions include hormonal disorders or low thyroid function. There are certain medicines that are also responsible for this condition; those medicines are steroids or anti-seizure medications. Over time, any of this condition or medicinal dosage can increase the risk of obesity. A maximum number of overweight children eventually turn into obese grownups. Eradicating this problem is next to impossible but adopting the above-mentioned measures and precautions this situation can be controlled to some extent. For more health tips like this stay connected and till then stay healthy!! !